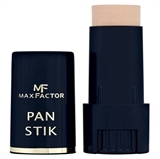 Max Factor Mastertouch Concealer has been tried backstage by professional make-up artists at the hottest catwalk shows! 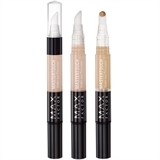 Max Factor Mastertouch Concealer has an easy-to-apply texture to hide blemishes. Its all down to the special skin smoothing applicator and light-diffusing creamy formula that makes precise coverage a breeze!